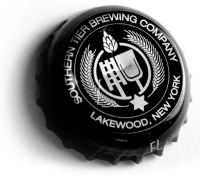 The fine folks at Roland + Russell, importers of many excellent beers (along with wine, spirits and other tasty things) are arranging a bus trip down to Southern Tier Brewery on Saturday, April 30th. In addition to touring the brewery and meeting Southern Tier brewer/owner Phin DeMink and his crew, there will be pulled pork sandwiches for lunch, and yes, some beer to drink. All of the details, including ticket info, are up on the R+R website. This entry was posted in beer events, travel. Bookmark the permalink. I missed the last trip but I’m definitely going on this one!